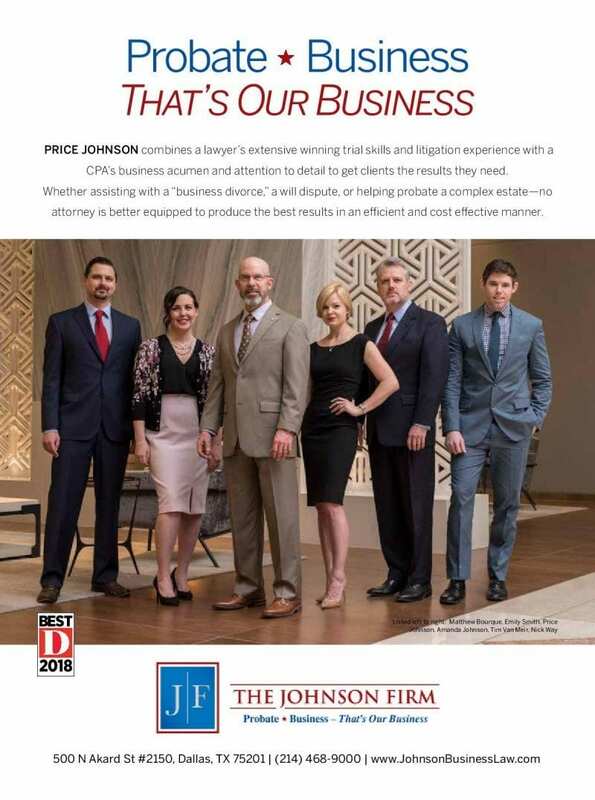 The Johnson Firm is proud to announce that Price Johnson has been named by D Magazine as one of the “Best Lawyers in Dallas: Probate and Business Litigation” for 2018. The D Best list is made up of attorneys chosen by their peers for their sound advice and exceptional results. The Johnson Firm works tirelessly and with a great deal of passion for our clients and we appreciate the recognition.